The continuous development of new forms and spatial solutions are the best guarantee of originality and functionality of exhibition spaces. 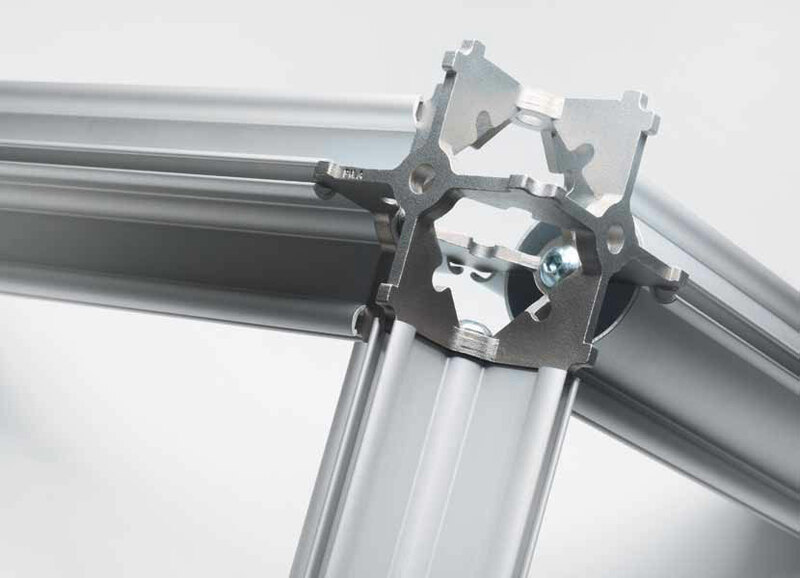 A wide range of diverge systems Burkhardt Leitner is aesthetically and modular complementing and allows a variety of creative solutions. Constructions CLIC, PON, PILA and OTTO are the foundation on which we develop many upgrades and individual layouts of fairs, exhibitions, events, museum collections and interiors. High usability of modular systems is based on their logical and clear design principles. The main features are flexibility, modularity and simplicity of forms. The use of high quality materials provides durability, sustainability and preservation of natural resources. For the layouts of large scale, flexible two-story structure and composition of the cantilever with a high capacity. Used for fairs, outdoors. 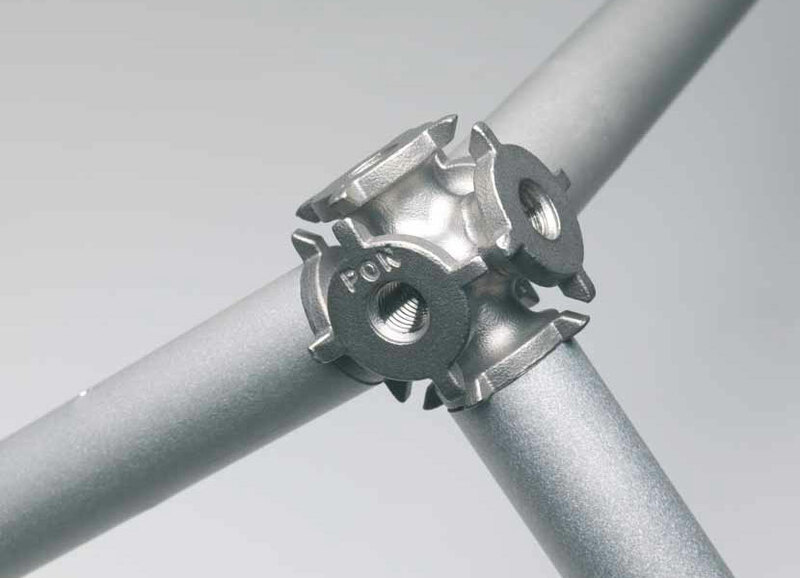 Dimensions Connector 130 x 130 x 130 mm, bracket 127 x 127 mm, diagonal diameter of 6 mm and 8 mm. Rectangular grid. For rooms with a footprint of more than 0.3 m2. High stability with little ballast. Ranges up to 12 m. Used for fairs, exhibitions, shows, shops. 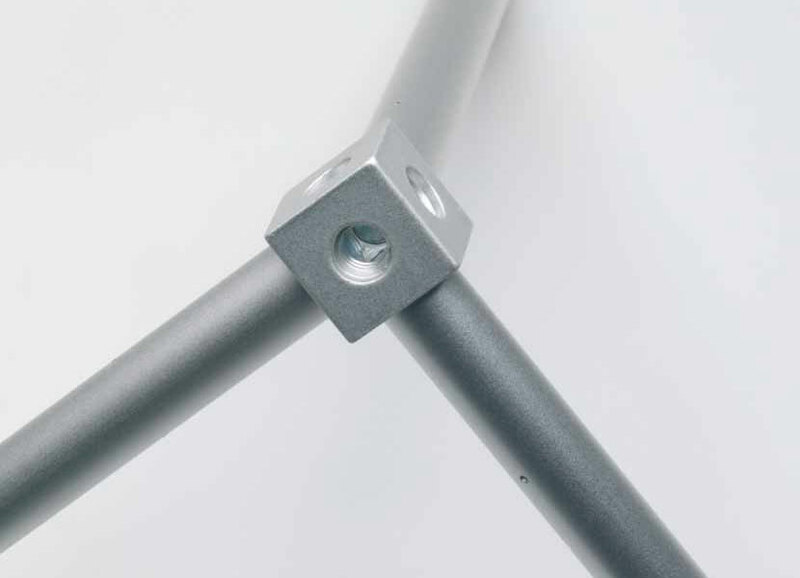 Dimensions Connector 34 x 34 x 34 mm, tube diameter 20 mm, diagonal 3 mm. 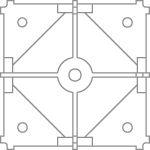 Rectangular grid of beams and connectors. Filigree lightweight construction for two- and three-dimensional representations. Quick assembly and disassembly without special tools. Randomly replicated in a larger composition. Used for fairs, exhibitions, shops, presentations. Dimensions Connector 15 x 15 x 15 mm, tube diameter 10 mm. High quality design and innovation is reflected in many international awards for design and architecture. 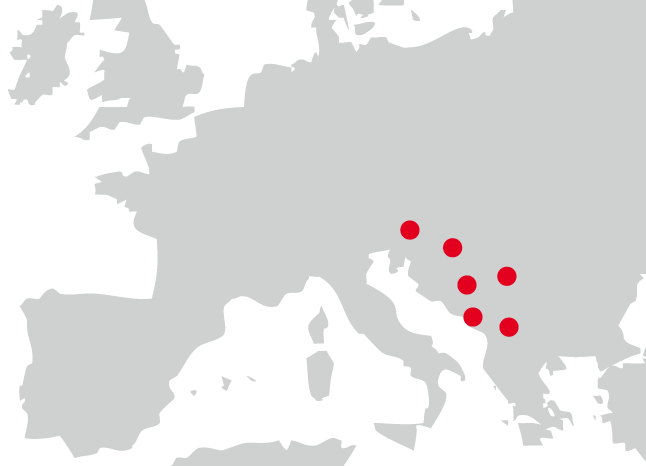 Company Kobi Interieri is authorized representative, contractor and vendor of modular systems Burkhardt Leitner for Slovenia, Croatia, Bosnia and Herzegovina, Serbia, Montenegro and Macedonia. If you are interested in rental or purchase, please send us a question. We will be happy to help and answer.